If you haven’t embraced social media as one of your primary forms of marketing for your plastic surgery practice, then you are missing out on a huge (and inexpensive!) marketing opportunity. 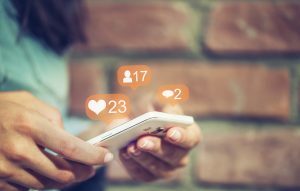 Social media tools like Facebook, Instagram and Snapchat can provide you with a way to directly connect with potential patients, while your posted content works as an effective advertisement for your practice. In the social media landscape, everything is continually shifting. The current king is indisputably Facebook, but there is a challenger – an upstart mobile social media app that is pulling in more and more users, offering a great user experience and more focused content. That app is Instagram. Of course, Facebook probably isn’t cursing the success of Instagram too much as they, well, own it, but the competition between these two platforms raises a few questions for ISAPS Plastic Surgeons all over the world: which platform is better for their practice? Although Facebook is still the biggest social media service in the world, they’ve recently run into many issues regarding security and advertising. Because of this, there has been a significant decline in active users, with almost 3 million young people in the US deactivating their accounts in the last year. We will be watching the numbers to see if this decline will continue over the next few years, and which demographics will be affected. Instagram, on the other hand, is showing fantastic growth, with hundreds of millions of active users joining every year. By the end of 2017, Instagram had over 800 million users, and was on track to overtake Facebook by 2020. Instagram also skews younger in terms of their user base. Instagram is basically designed to be the perfect app for the plastic surgeon. While Facebook hosts a variety of content, from articles and games to photos and videos, Instagram is very focused on its raison d’être: image sharing. As this functionality was the very foundation of the app, it’s the place that people instinctively think to go to find photos and videos of the content they want. In this case, they want plastic surgery content, so you should be there to provide it! Facebook ads are very effective. They are versatile and take many different forms. You could create an ad to be in someone’s newsfeed. You could create a boosted post. You could create an ad that would go on the sidebar. There are, however, some issues with this. Advanced ad-blockers can filter the newsfeed to remove those ads without Facebook being any the wiser. Although they aren’t widely used currently, their adoption rate continues to grow. Instagram, on the other hand, is primarily on mobile, giving them much more control over the user experience. Their ads are well-integrated into the content, rather than sticking out like a sore thumb in the newsfeed. It’s a much more seamless marketing experience, especially when your content so accurately reflects the services you are providing (plastic surgery). Almost as important as the platform is the device it will be accessed on. Facebook was first developed in an age of desktop computers. Smartphones were still in their infancy, and wireless technology was only beginning to become mainstream. This desktop PC mentality has followed Facebook throughout its history. Facebook was famous for resisting the development of an iPhone or iPad app for years until consumer pressure finally forced the issue. The point is that they have never really believed in mobile until recently. Today, they have perfectly functional apps across every platform, but they did let the opportunity pass them by for so long that many still think of them as primarily a desktop platform. Instagram, on the other hand, was born on mobile. You couldn’t even access Instagram on a PC for the first few years of its existence! Because of this mobile-first mindset, Instagram’s growth was stalled when it first debuted because of the then-limited mobile market. But now that so many people are using their smartphones as their primary device, Instagram has risen to the top. So the question here is, which platform is right for you? The answer should be: both. Although Facebook is going through a tough time right now, there are still billions of active users on there looking for engaging content. Even if you are focusing the majority of your marketing attention on Instagram, also being on Facebook can be a worthwhile investment of your time and money. Of course, these are just two of the available social media channels that can be useful in your marketing and advertising. Your plastic surgery practice should also have a presence on Twitter, Snapchat and even Google+. All of these services provide excellent ways to connect with both existing and new patients, so be sure that you are taking full advantage of their reach. You never know, you might end up being the next big plastic surgery social media star!